Reusable motorcycle ear plugs are an excellent choice for cutting out the wind noise and protecting your ears while you ride. 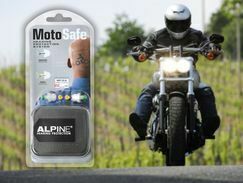 Durable and long-lasting, one pair of reusable motorcycle ear plugs can last for weeks. Our reusable motorcycle ear plugs are all great for wear with or without a helmet. These reusable ear plugs have been carefully chosen to ensure none of them have stems or flanges that will interfere with wearing the ear plugs under your helmet. Your reusable motorcycle ear plugs also need to provide the right amount of noise blocking. None of the plugs listed here provide more than NRR 25 protection. That is enough hearing protection to help kill that constant, irritating wind noise while still allowing you to hear what is going on around you, so you can stay safe whether you're out on the open highway or cruising around in city traffic. Thunderplugs Motor Earplugs feature pro filters that take engine, road, and wind noise down a notch, while still allowing you to hear voices and traffic sounds. These reusable ear plugs feature a low-profile fit that is comfortable for wear under a helmet. Includes a sturdy aluminum keychain carry case. (NRR 5) Earasers MotorSports Earplugs cut the wind noise while allowing you to maintain situational awareness. Hear traffic sounds and voices, while protecting your ears from the stress and damage of wind noise. Ideal for motorcycle riders, as well as for motorsports and racing fans.